Tuesday, July 28, 1914: Nothing much these days. Since Grandma didn’t write much a hundred years ago today, I’ll share an old seasonal recipe for Spiced Blueberries. They make an excellent relish to serve with pork and other meats. 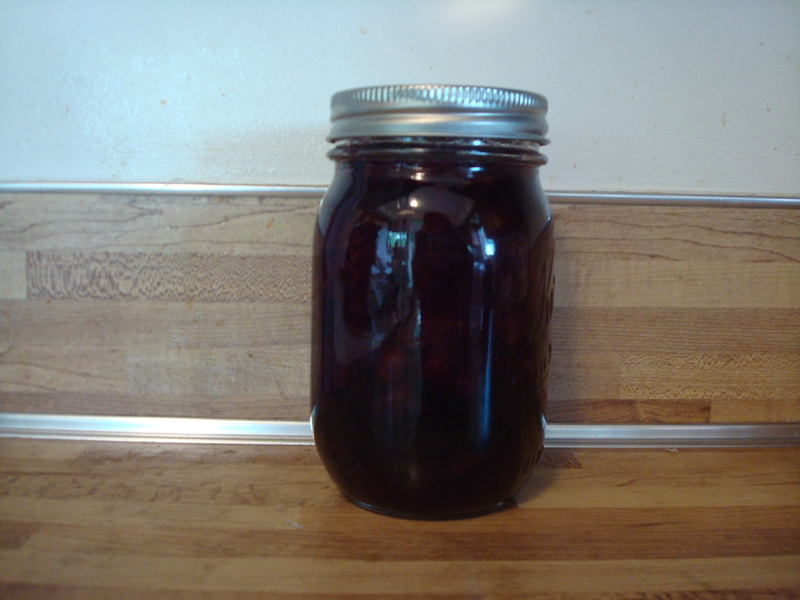 Remove cheesecloth bag, and ladle into hot pint jars, filling to 1/8 inch of jar top. Wipe jar rim, and adjust lids. Process in boiling water bath for 15 minutes. Posted on July 28, 2014 August 30, 2015 by SherylPosted in Food, recipesTagged blueberry. I was thinking cinnamon, but cloves!! wow – that would be spicy! Yummy…I have 2 little blue berry bushes. They are too small to produce much. That looks good. May try it sometime. Just got done freezing two big bags of blueberries. Now I have something to do with them. Thanks!!! sounds yummy! Love anything made with blueberries! I really needed a new blueberry recipe. Now its in my file!